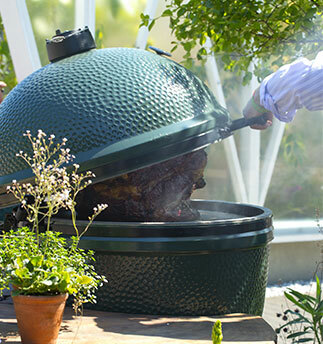 If you haven't heard of The Big Green Egg, it's ok to laugh at first - the name is a little unconventional. Most people don't have a clue as to what kind of product it is until they see it. Then, it all makes sense, "Oh! 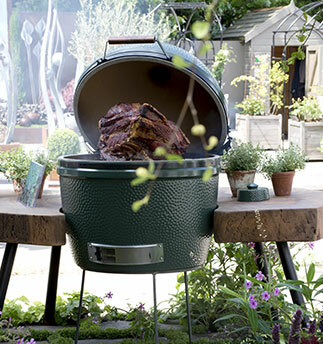 That's why you call it the big green egg!" 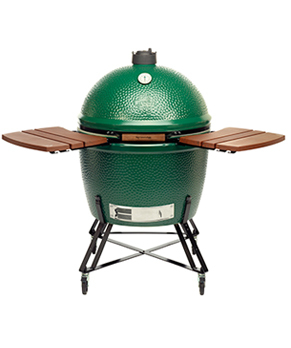 Technically a Big Green Egg is a kamado-style charcoal grill and smoker. Add accessories like the convEGGtor® and it can even transform into a convection oven. This grill is designed to be an outdoor one-stop-cooking-solution letting you grill, roast, smoke or bake anything you'd make in your indoor kitchen. The recipes give just a small taste of all you can cook on the Big Green Egg: desserts, pizza, appetizers, and even stir fry. What would you cook outside if you could grill, roast, smoke or bake anything you wanted? Talk about epic backyard get togethers. You can even make soup! The egg comes in one, perfect-heat-distributing shape, but multiple sizes. From the 400+ pound XXLarge with a 29 inch grilling surface all the way down to the baby of the grill family, the Mini Egg weighing in at just 39 pounds but still offering a decent 10 inch grilling grid diameter. 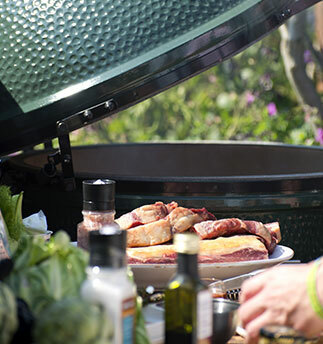 Get more info on the range of Big Green Egg sizes here.